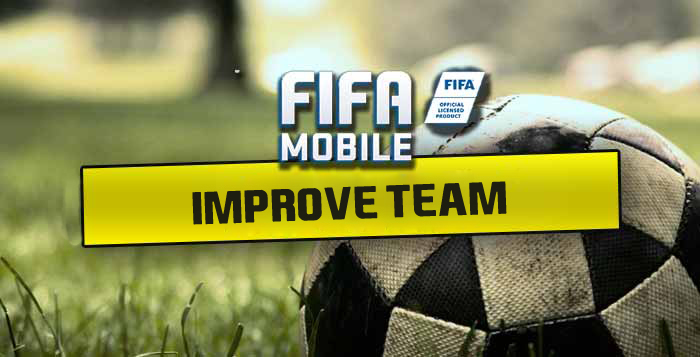 How to Improve Your FIFA Mobile Team? This article is mostly about how to do plans, play live events and earn players when you already have a solid team. 1. Wait for a new TOTW player to come out (Tuesdays night 11 PM GMT), know who he is, and how well he plays. Decide would you use him, can he be put into your starting squad, and is he better than any starting player of yours. 2. When you decided, spam the live event (whether you use him or not). The live events starts at Wednesays 8PM (also in UK time). Sell the first batch of players you get/opened from plans immediately (would say until first event ends). They sell for 5-6k at the start and 2-3k (1k if you're lucky) at the last 1-2 days. 3. When you got all 8 golds (which is a lot more likely than getting an elite from live event packs/trade-in plans) check how much time do you have left for you to complete the plan. If you are still early (4 days or more to go) sell the highest rated golds as well as they could sell for 3-4k in mid-week and continue spamming the live event if you sold a few. 4. Assuming you would have earned a little bit of FIFA Mobile coins over the week (attack mode, seasons, leagues, sniping etc.) , you could have ~200-250k to spend (with a little bit more hard work). Snipe the elite IFs if you haven't got him yet. 5. Finish the plan. Get the MIF and the TOTY token (should be useful to you in the future). 6. Difference between a useful MIF and a weak MIF here. Check this subreddit whether he is good or not (I assume there are reviews already on the second day of plans) and sell him if he is not useful, or put him in the team if he is good. 7. repeat for the next week. I know, this article is slightly too easy for you guys, and most of you should be doing it, but trust me, beginners, it works. Hope you'll build your dream team.